The "Browse or Camiño" campaign adds a point to the initiative that promotes the collective North Marina with marina Viveiro. This will be one of the 17 ports of Cantabria and Galicia that from next July, will make accessible by sea the Camino de Santiago.Viveiro councilors responsible for tourism, Marisol Rey, and Mar, Jesus Fernandez, appreciated this initiative as "very positive, very good for Viveiro". The pilgrims arriving by sea may seal their compostela in Viveiro and, of course, finish the Camino walk from the village on the coast of Lugo. 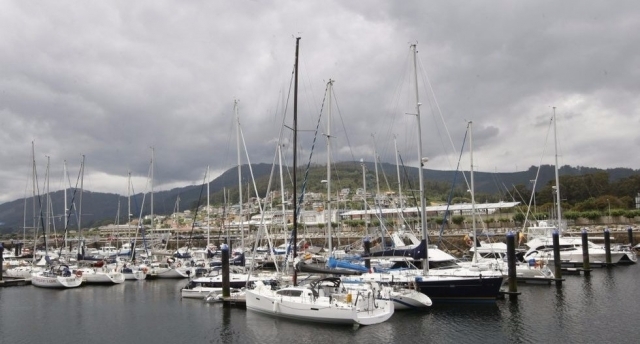 Boaters can leave the yacht in the port of Viveiro, the Camino walk and send the luggage to the destination post office.On July 25 the first group of yachts is expected, but certainly the initiative will attract more tourists, it will be promoted in French, German and British publications.